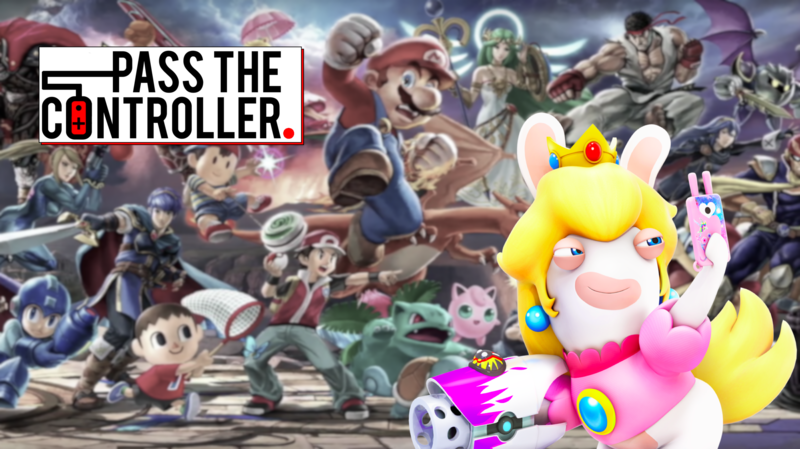 Whether you’re a hopeful fan with a wishlist or avidly digging through the internet looking for leaks, rumors, and theories– Super Smash Bros. Ultimate roster hype has been consuming all of us who are excited for this game to launch this December. As we inch closer and closer to the launch date, and the roster of playable fighters creeps higher and higher, we can only imagine that at some point soon the launch roster will be complete. Especially since Sakurai has been quoted saying to expect announcements to wind down. We’re spoiled already with how much care and attention to detail Sakurai and his development team have already poured into this game. Every character that has ever appeared as a fighter in a Smash game is returning, we have Ridley, Simon Belmont, King K. Rool, Isabelle, as well as a handful of echo fighters joining the fight already so asking for, or expecting more, seems outlandish. Though, even with everything we have it’s hard to not speculate and want more out of this celebration of gaming history. We sat down to hash out who we think still has a chance or maybe deserves to be added, taking into account all of the personal wants, Reddit threads, and looking at past games for hints and clues. We wound up with some of these fighters who still have potential to make the cut. There’s a ton of buzz around this Alolan Pokemon starter getting their own roster spot with some claiming that they’ve seen the leak, describing the trailer and move-set for this fiery fighter. Outside of the alleged leaks/rumors, one thing to consider is that every Smash Bros. game has always introduced at least one new Pokemon fighter and they usually pertain to the latest generation of Pokemon. Pikachu and Jigglypuff showed up in 64, Mewtwo and Pichu appeared in Melee, Pokemon Trainer and Lucario debuted in Brawl, and Greninja dropped into Smash for Wii U/3DS. So the precedent is definitely set for a new Pokemon to enter the ring– Incineroar or not. Geno has to be one of the most requested characters over the course of the series. Between polls that Nintendo has held globally or in Japan, fan sites, and just about anywhere else Smash Bros. roster banter occurs. Some arguments suspect that maybe there were some licensing issues with Square-Enix, but with Cloud entering Smash for Wii U/3DS as DLC, Geno having Mii Fighter outfits, and all of the Square-Enix love for Nintendo’s current powerhouse platform between Octopath Traveler and all of the recent reveals of Final Fantasy ports– the relationship between Nintendo and Square couldn’t be better right now. Not to mention Sakurai seems to be trying to appease everyone’s most requested characters from the previous ballots. Fingers crossed because this is who I want the most. Another beloved franchise that not only has fans clamoring for a new game to release, but have been vocal in wanting Isaac in Smash. Having appeared in the Smash Bros. franchise previously as an assist trophy, he has still not been seen as a returning assist trophy which leaves the door open for him to be included as a playable character. To add more fuel to the flames of speculation, Nintendo recently filed for a new trademark related to Golden Sun which could mean many things but it definitely strikes a chord with hungering Smash fans. Rayman was long rumored to be included in Super Smash Bros. for Wii U back during development in 2014, but ultimately ended up as a collectible trophy and nothing more. That was then though, and in 2017 we saw a surprise mash-up of the Super Mario and Rayman worlds in Mario + Rabbids: Kingdom Battle for the Nintendo Switch. With the critical and commercial success of the crossover title and the seemingly positive relationship between Nintendo and Ubisoft, it would seem like at the very least the Rabbids as an assist trophy would be a shoo-in but here’s hoping Rayman can make the cut as well and join the roster. In keeping with some of the more bizarre roster additions Diskun could wind up being a character or maybe a light echo of Mr. Game & Watch. Diskun is the mascot for the Famicom Disk System and though that relegates him to a smaller audience of fans knowing who he is, Sakurai is known for doing that with characters from the Fire Emblem and Mother. Not only would Diskun fit among Mr. Game & Watch, but other characters such as Duck Hunt Dog, Wii Fit Trainer, and R.O.B. It’s no secret that everyone’s favorite bird and bear duo known for their history on the Nintendo 64 are wanted in Super Smash Bros. In an addition that would normally seem unlikely due to Microsoft owning Rare, not only has Phil Spencer said over the years that he would be open to allowing this to happen but Nintendo and Microsoft have been playing very nicely together over the last year and a half. There’re rumors circulating of a Minecraft assist trophy as well as a level being added, so if that turns out to be true these 3D-platforming legends would make sense to be included with that deal. It would be a missed opportunity if the Minecraft content was included and Banjo wasn’t. With a few months to go before Super Smash Bros. Ultimate lands on store shelves, there’s plenty of time for another character reveal. If I had to guess, I’d say we would see one more Smash Bros. Direct as well as a final roster spot reveal at the Video Game Awards. Though, whether or not any of these characters or other fighters get introduced over the course of the winter, I am sure there will be DLC for Ultimate at some point in the future. For all things Super Smash Bros. be sure to keep it locked to Pass The Controller. For a deeper dive on all things video games and nerd culture be sure to check out our weekly podcast available on iTunes, SoundCloud, and most major podcast platforms. Next 107: My Hero Macadamia The Movie: 2000 (The First Movie) + Are Smash Reveals Over?